CD turntables have become the industry standard for the modern professional DJ. If you’re still living in the past with vinyl turntables and would like to know which CD turntables are the best on the market today then you’re in the right place. DJ Equipment HQ have compiled the ultimate the list of the top 5 best CD turntables. 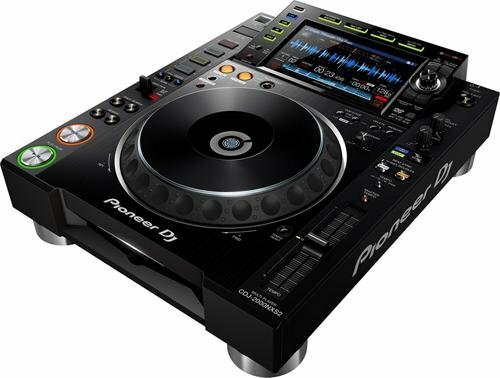 The Pioneer DJ CDJ-2000NXS2 Professional Multi Player presents a third-generation of the industry’s best CD Turntables. Inheriting the best qualities from its predecessor the CDJ-2000NXS, the multiplayer boasts a wide array of new features: better sound quality, performance-enhanced controls, a multiplayer screen that comes with a Qwerty keyboard and search filters for faster track selection. 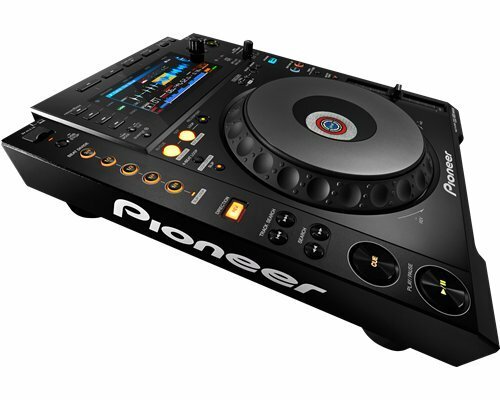 Additionally, the Pioneer DJ CDJ-2000NXS2 Professional Multi Player comes fitted with a 96Khz/24-bit sound card for improved club sound and support for lossless audio formats while the 8 Hot Cues (2 banks of 4 color-illuminated hot cues) allow DJs to customize colors and set cue points in the rekordbox. Just like the previous model the Pioneer CDJ900NXS Nexus Professional Multi Player builds on its predecessor the CDJ-900. It features new technological features like a high-resolution LCD screen, Wi-Fi and USB connectivity to smart devices, a four-deck Beat Sync, and an improved Beat Divide. The Pioneer CDJ900NXS Nexus Professional Multi Player’s wave display now includes a Wave Zoom which provides more accuracy on loops and cues while the HID interface allows DJs to use complex DJ software without the need of a control disk. The Phase Meter has also been improved letting DJs catch a glimpse of the phase of each player via the master deck. Overall, it’s a fantastic piece of DJ equipment and gets second place in this best CD turntables roundup. 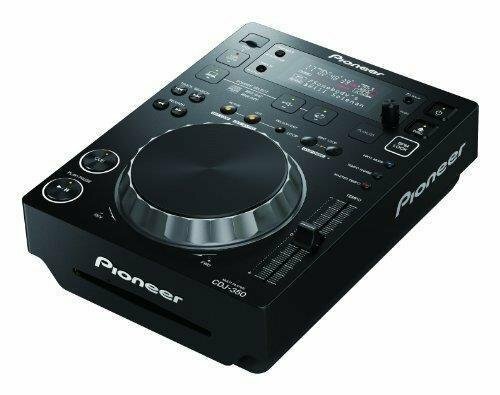 The Pioneer CDJ-350 Digital Multi Player allows users to create performances via different music files: AAC, AIFF, MP3 and WAV which are stored in various forms of media; USB, CD-R/RW discs, and the standard CDs. 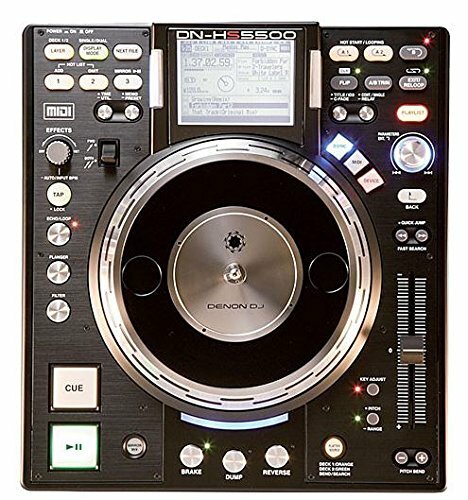 The Pioneer CDJ-350 Digital Multi Player also comes with Pioneer’s proprietary rekordbox music software that allows DJs to manage music files from a computer thus faster song selection when played back on compatible multi-players. For the above reasons, we’re giving it third spot in our best CD turntables roundup. 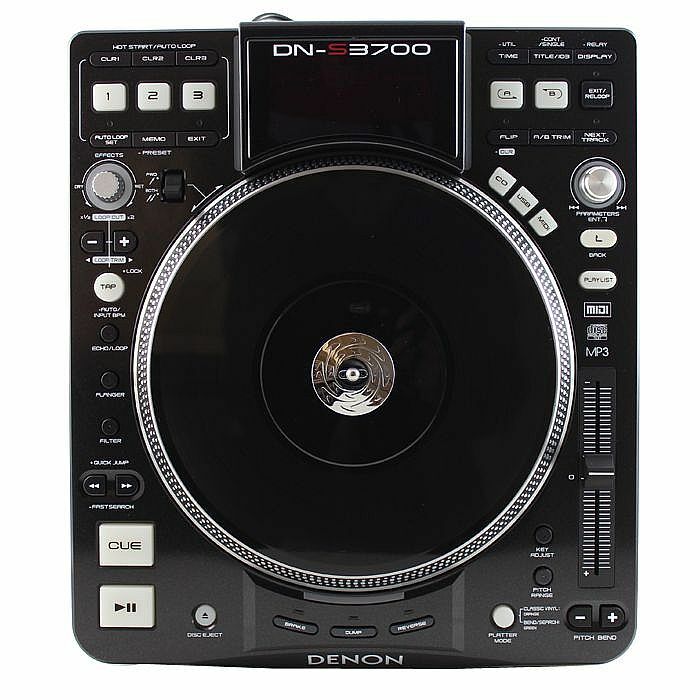 Released in January 2009, the Denon DN-S3700 presents the best single-deck portable Pro CD Turntable in our best CD turntables roundup with a host of useful features for any professional DJ. Designed like its predecessor Denon DN-HS5500, the DN-S3700 features a larger platter design (9″) that provides the best of analog and digital functions. Its built-in effects and looping settings make it the Best Pro CD Turntable of all time. Additionally, the Denon DN-S3700 Direct Drive Turntable Media Player & Controller comes with advanced digital features (MIDI and USB controls) as well as a built-in vinyl record for seamless surface control. The Denon DN-HS5500 presents Denon’s flagship media player and controller. It is an advanced MAC/PC controller that combines unique hardware performance with built-in high-quality audio processing that produces low latency OSX/ASIO audio support and a worthy fifth in our best CD turntables roundup. The Denon DN-HS5500 supports up to four external storage devices making it possible to use drives like HDD, iPod, or flashmedia. The most interesting characteristic about the multiplayer being the dual-deck feature that can be operated simultaneously with the simple flip of a button.